Our home is large for urban apartments. It has 2 floors - 4 bedrooms and 3 toilets. One bedroom + wc and shower are on the first floor. We use this room as a study room for our daughters. 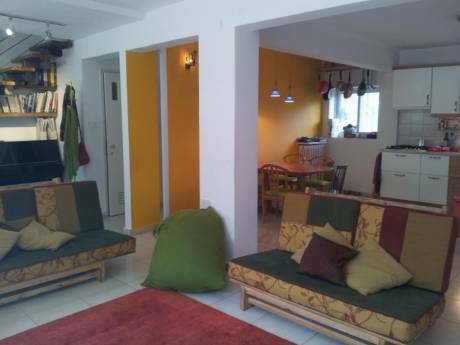 On the same floor we have the kitchen, dining place and the living room. 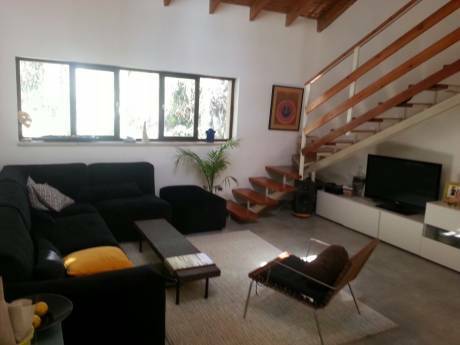 On the second floor we have 3 bedrooms and 2 wc + bath. There is also one room we use as a storage place and a mini room for the washing machine and the drier. The apartment can sleep 6 very comfortably. It is modern and has all the electrical equipment. We have a lovely big terrace. It is actually 2 balconies â one is headed to the south (wonderful in the winter) and the other is headed to the north-west (there is no better place for the afternoon coffee and dinner in the summerâ¦). Yoram is 41 and works as a teacher. Tzofit is 40 and works as a social worker. We have 2 lovely daughters Tzlil is 13 and Rotem is 10. We had 2 successful exchanges: last year in Paris and 2 years ago in London. 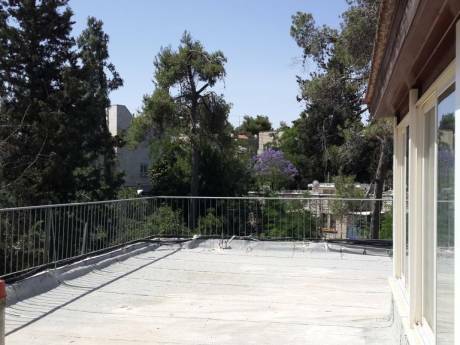 It is located in one of the best neighborhoods in Jerusalem (old katamon). Outside our home, just at the door - there is a nice play ground. The area is green and there is an old Greek monastery 5 minutes walk from the house. It is 30 minutes walk to the center or to the old city. Less than half the time by public transport. 3 buses very near (1-5 minutes walk from home) can take you to the center, almost all museums, universities etc.